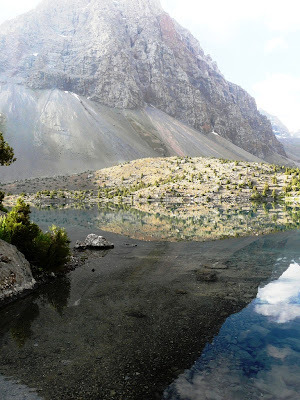 Lake Karakul is also called "Black Lake" (black when the sun is hidden by clouds.) 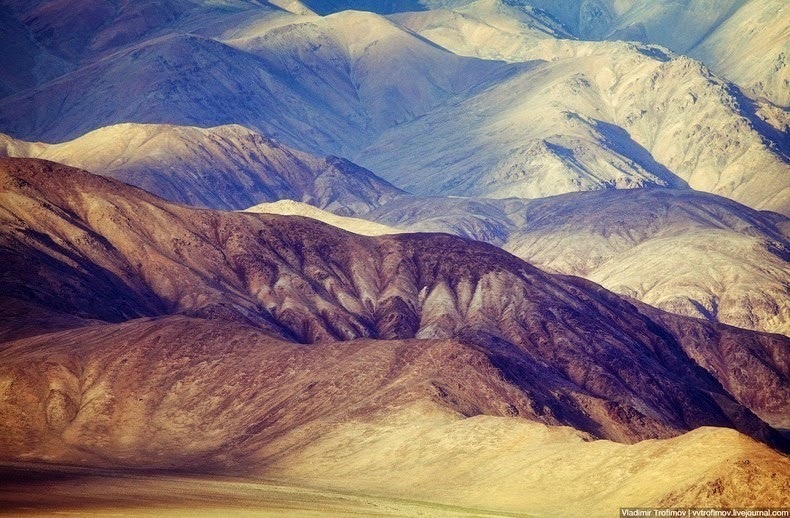 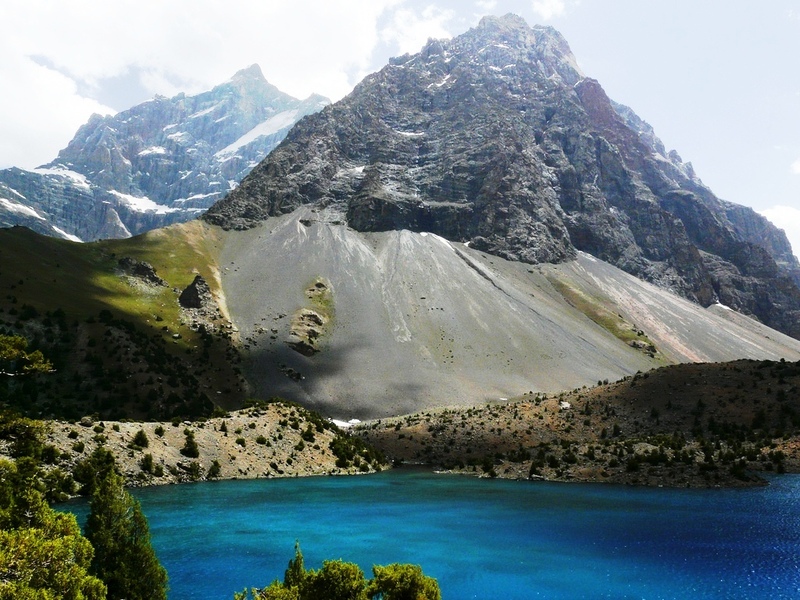 actually located in the Pamir Mountains in Tajikistan, within the Tajik National Park, in one of the most beautiful and remote high and driest location in Central Asia. It is a deep brackish-water lake lying in a closed basin at an altitude of 3,900 meters above sea level. 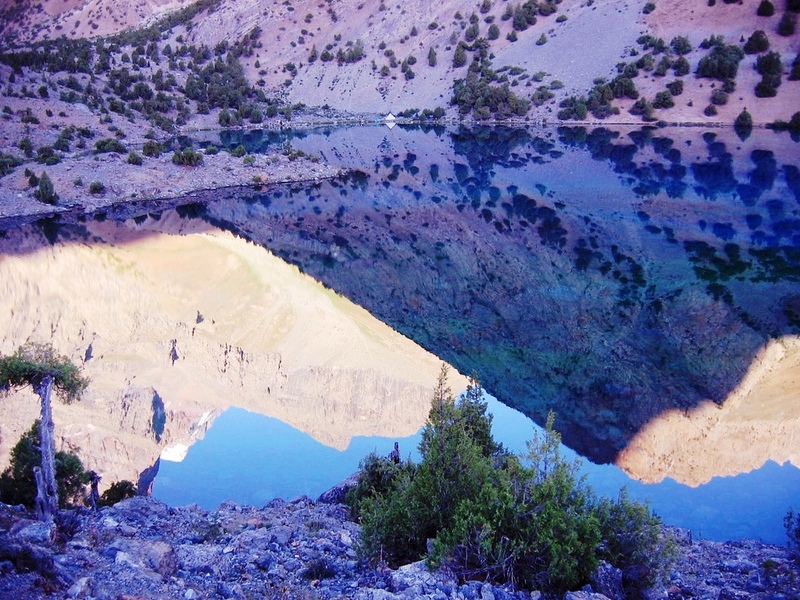 The lake is famous among travelers for its fantastic scenery and the clarity of its reflection in the water, whose color ranges from a dark green to azure and light blue during the summer. 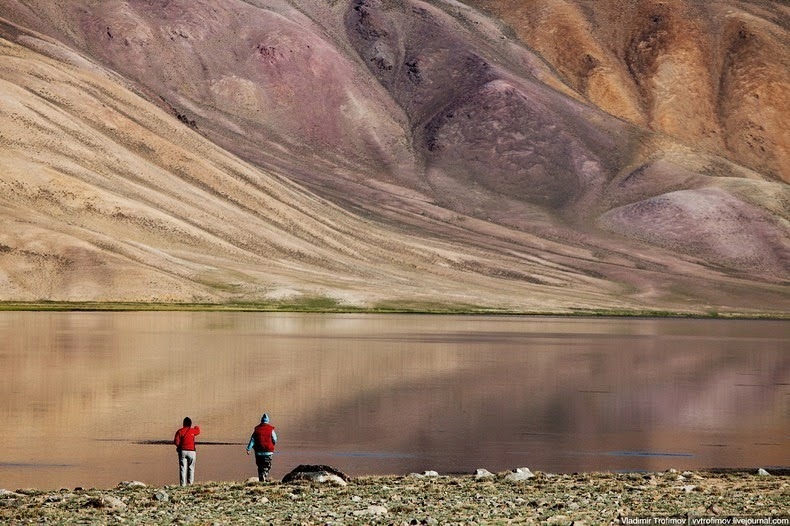 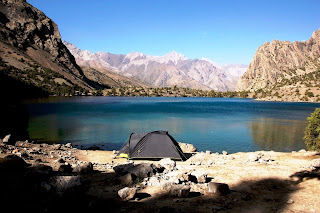 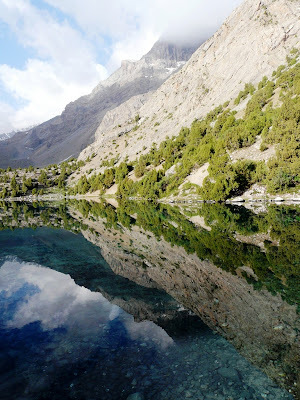 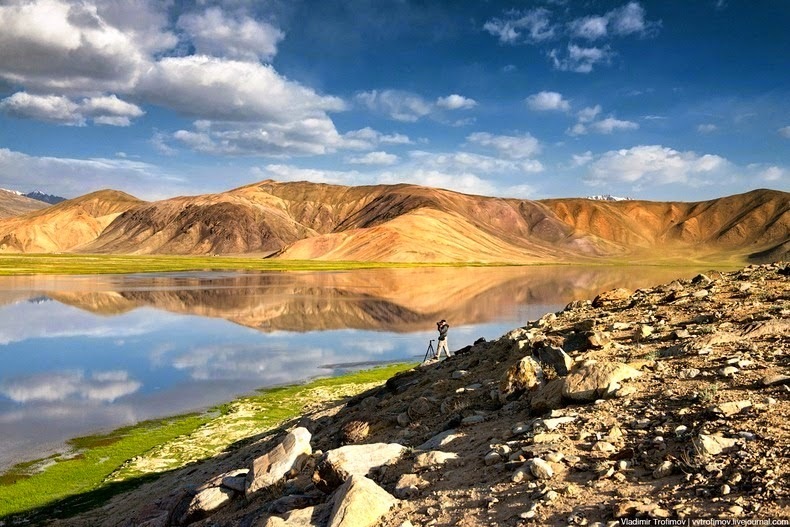 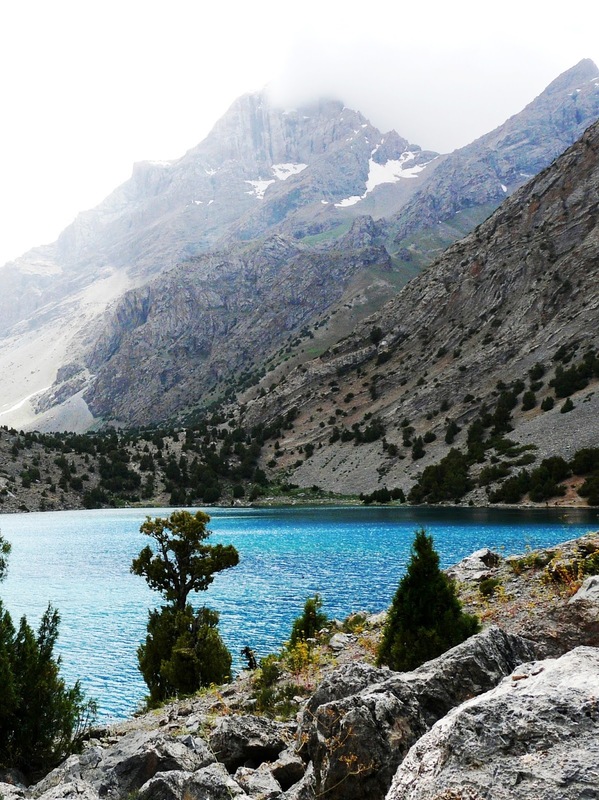 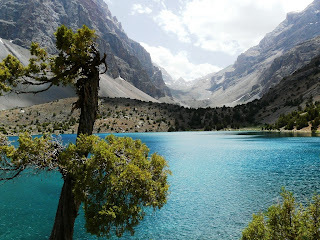 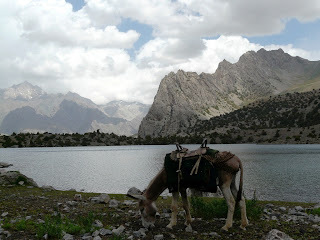 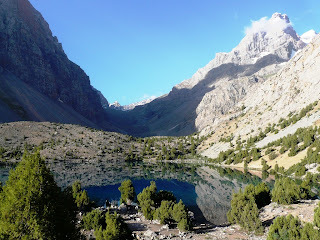 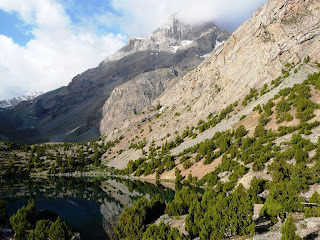 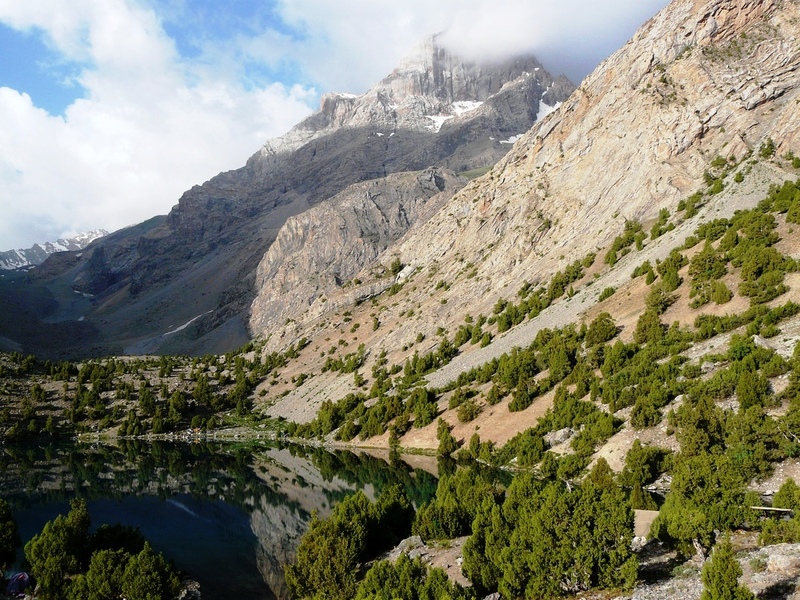 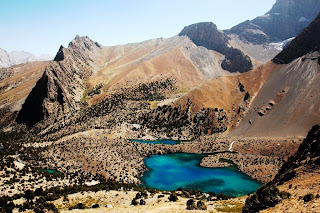 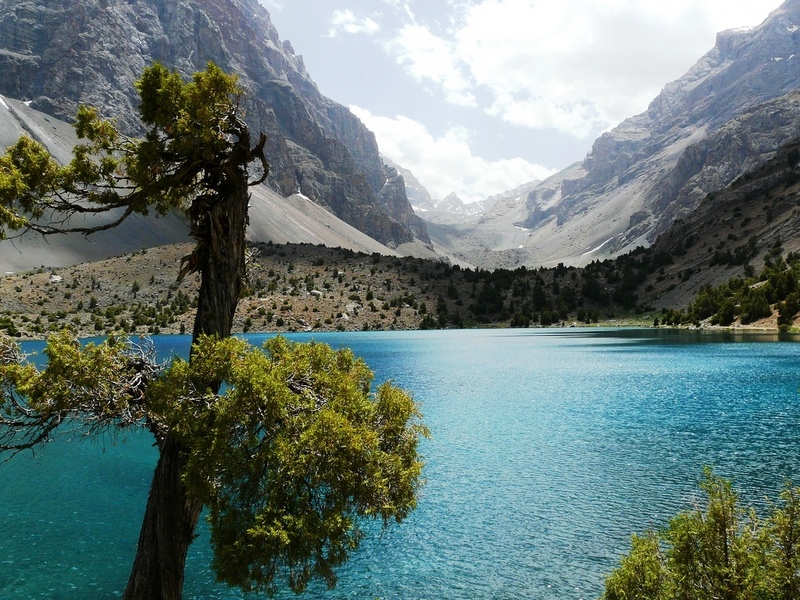 The beautiful lake is well surrounded by high mountains which block humid air masses; the valley receives not as much of 30 mm of precipitation a year making it one of the driest places in Central Asia. 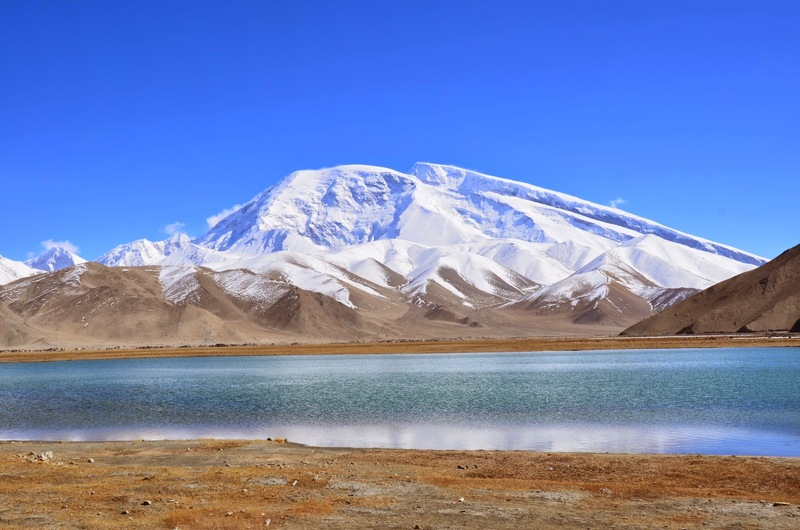 A curious fact of Karakul Lake is that its banks rest on ice for a significant length and ice also covers the bottom of the lake. 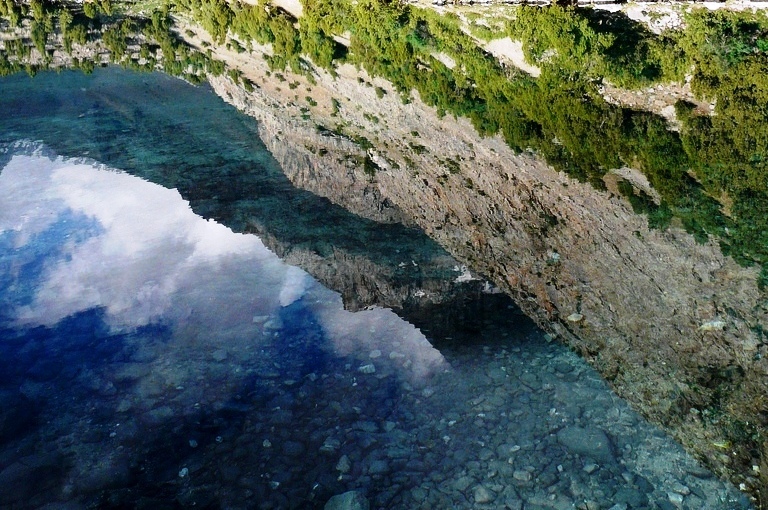 Scientists and researchers do not agree on the source of this ice. As some of thinks that these are the remnants of ancient glaciers, but few explain it as the remains of an ice shield that filled the hollow during the ice age. 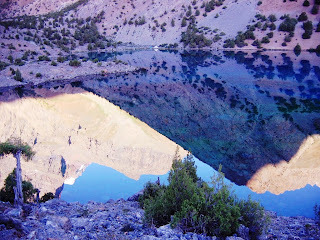 Whereas others believed that the ice is a modern formation. 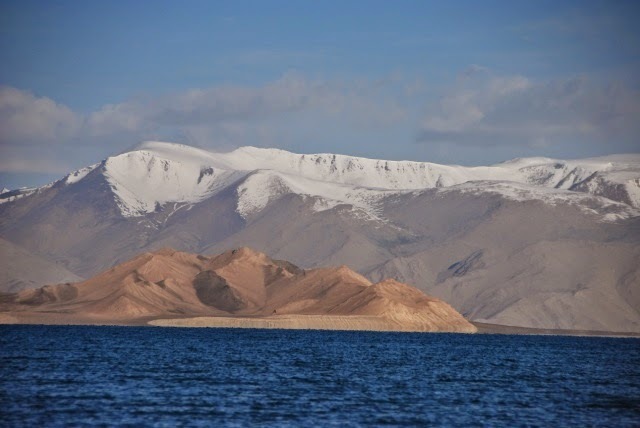 Tarakul Lake is entirely frozen in between October to May and forms a white expanse when viewed from Karakul village where a small community of Kyrgyz people survives through nomadic herding of yaks, sheep and goats. 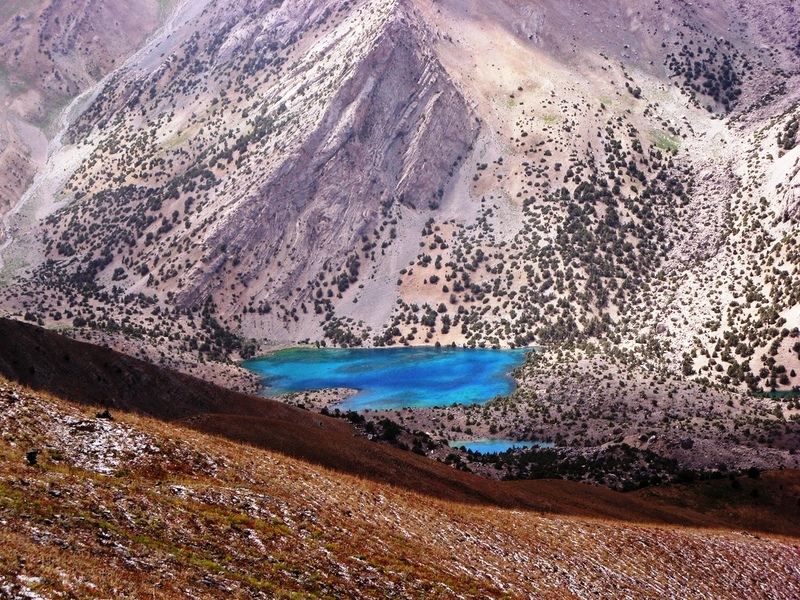 Although the lake lies within a national park, much of the surrounds are used as pasture. 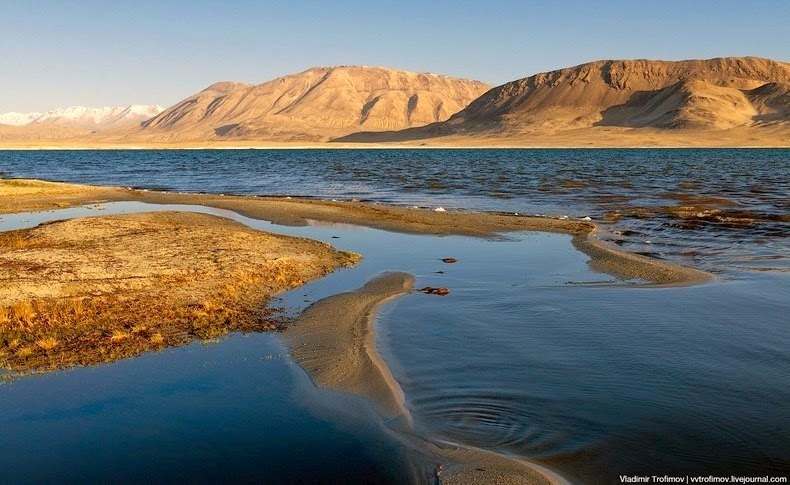 The lake is the place of significant populations of various birds either as residents or as breeding or passage migrants. Therefore; the only fish in the lake is a species of stone loach. 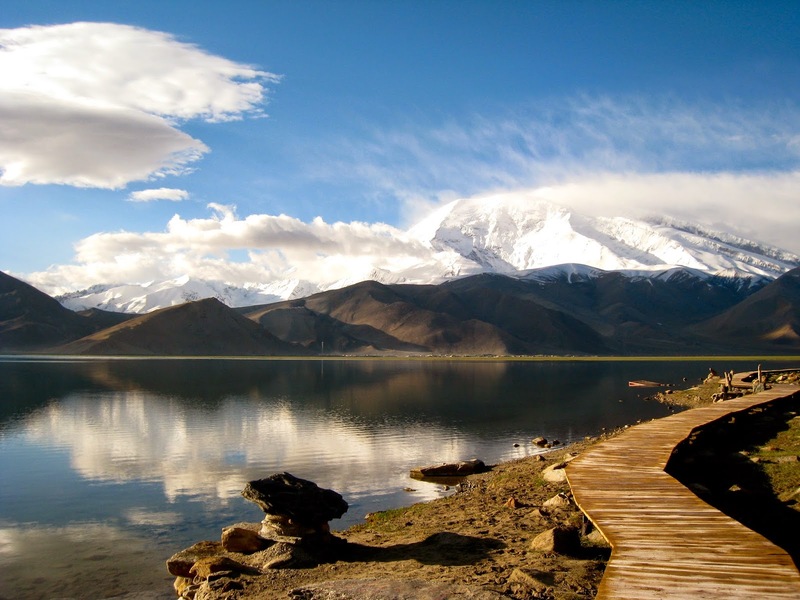 Tarakul lake is believed to came into existence when a meteor struck the earth roughly 25 million years ago. 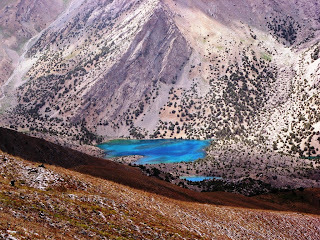 Ultimately melt water from the surrounding mountains filled the basin forming Lake Karakul with a diameter of 25 kilometers. 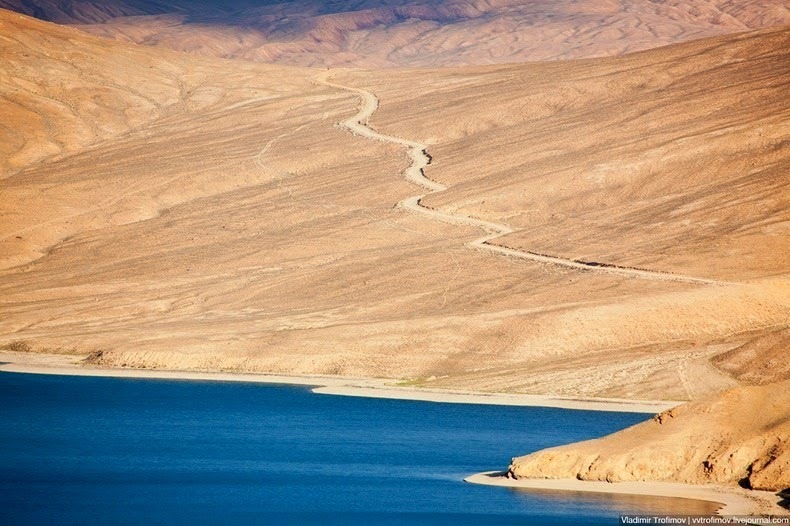 Before, the lake was famous as “Lake Victoria” until the early 20th century, named after Queen Victoria of Britain, but the name was changed with the advent of the Soviet system in the 1920s. 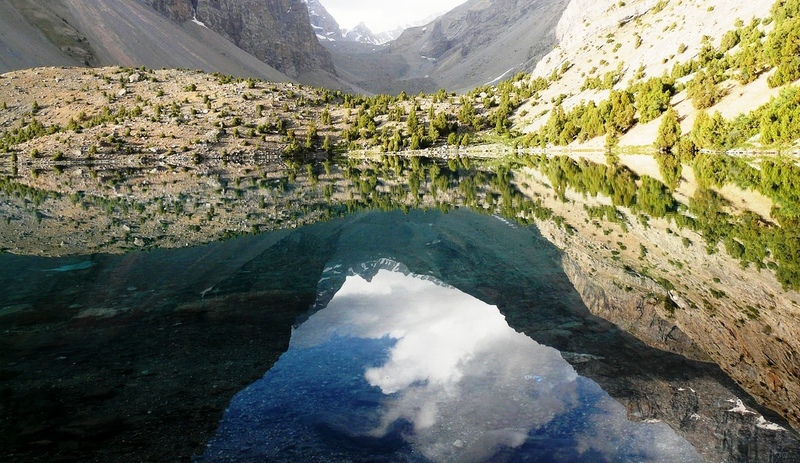 The Lake has two basins separated by a peninsula from the south and an island in the north. 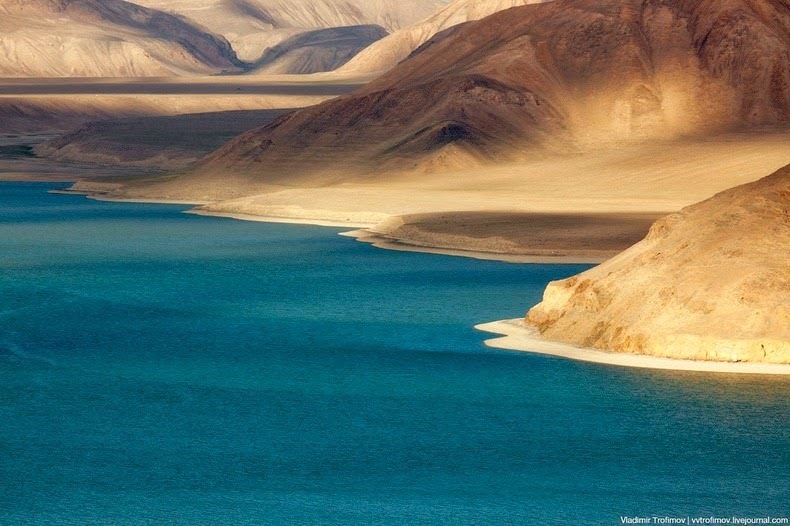 The island is 8 kilometers long and 4 kilometers wide, and the strait between them is 1 kilometers wide. 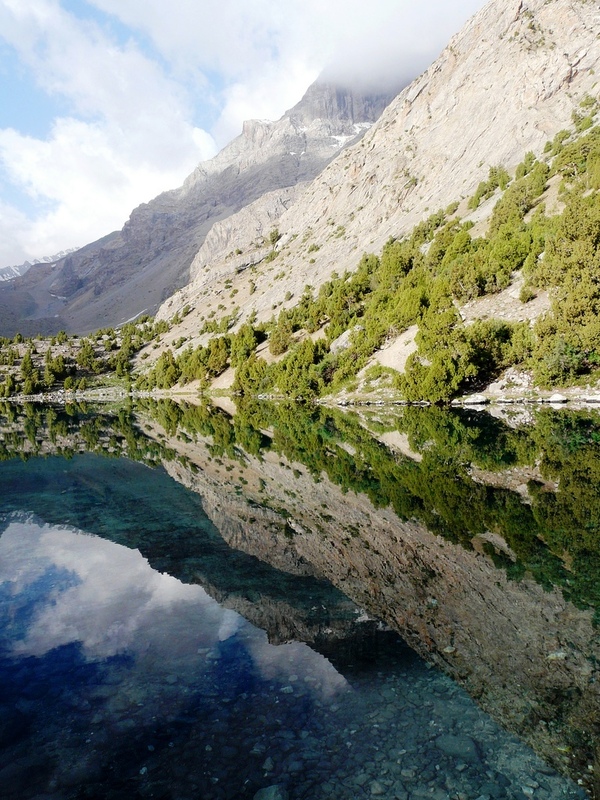 The lake east basin is comparatively shallow with a mean depth of 22 meters, while the west basin has a deepest point of 236 meters. 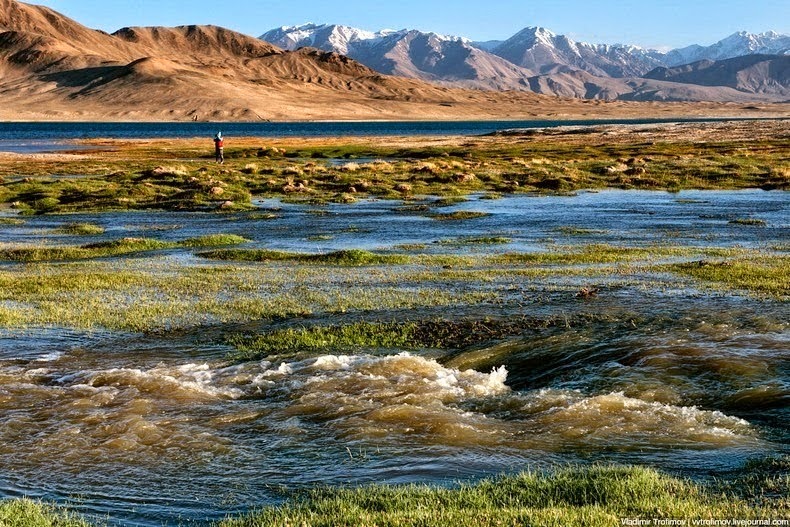 Three rivers flow into Lake Karakul, but there being no outlet, the water is very salty. 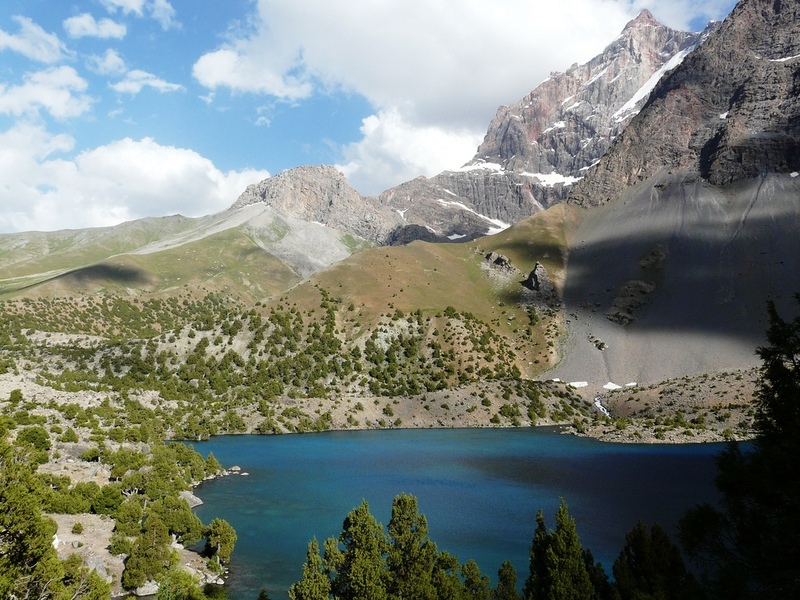 The Karakul lake impact structure remained mysterious until the latest geological research undertaken by Russian scientists along with studies of imagery taken from space which let selected scholars to diagnose Karakul Lake depression as meteorite impact crater with a rim diameter of 52 KM and created some 230 -190 mln years ago.